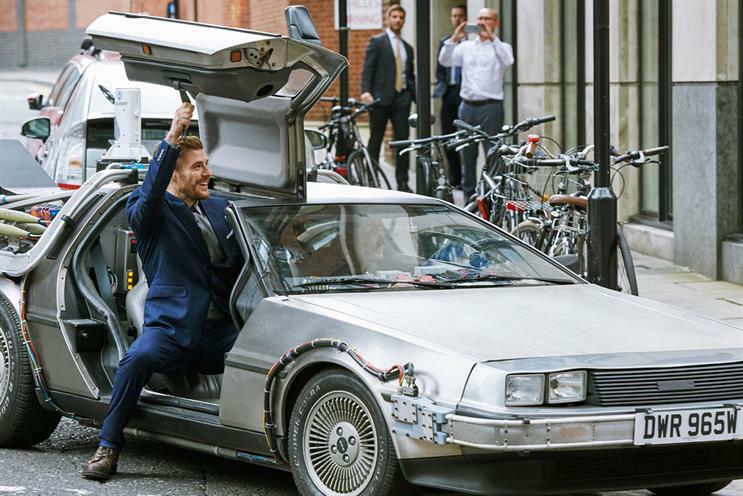 Pepsi Max and Uber have seized on the "Back to the Future Day" hype by offering fans of the movie franchise in London the chance to ride in a DeLorean. The soft drink brand and taxi booking platform are providing private hires in a select number of DeLoreans, the model used to time travel in the Back to the Future movies. The campaign has been created by Abbott Mead Vickers BBDO, Pepsi Max's creative ad agency in the UK. In Back to the Future Part II, Marty McFly, played by Michael J. Fox, travels from 1985 to the future on 21 October 2015 – today’s date – which has rekindled interest in the movie franchise. Pepsi’s involvement stems from McFly ordering a Pepsi Perfect in the movie at a themed restaurant called Café 80s. To win a chance to ride in the DeLorean, between 10am and 3pm today, consumers can enter the promo code "PEPSIMAX" into the Uber app to unlock a DeLorean icon. Alex Nicholas, the senior brand manager at Pepsi Max, said: "The ‘Pepsi Perfect’ scene in Back To The Future Part II is an iconic moment in the film, and we wanted to give back to fans on Future Day. Giving consumers the chance to ride in a DeLorean via Uber’s promo code." Last month Campaign revealed Uber had opened talks with media agencies ahead of a marketing push in the UK. The company does not currently advertise in the UK but its increasing popularity has disrupted the taxi market and prompted a strike by black-cab drivers in London last year. Sarah Brightwell, the senior marketing manager at Uber, said: "We may not be able to travel through time but at Uber we’re all about looking to the future. "We’re thrilled to be marking Future Day with Pepsi Max by bringing fans an iconic ride at the touch of a button. A nod to a cult 80s film using today’s brands and tomorrow’s technology."